Laurie Here - Contemporary Fiction and MORE - Book Reviews: Wednesday Read-A-Thon Update! Here is my last, final update for the Read-A-Thon. I will also post my CHALLENGE after posting the books. I LOVED this Read-A-Thon! I hope we do this again, and would LOVE to do it more than twice a year! I will be doing a Read-A-Thon for ONE day through Goodreads. I need to choose my date and sign it up. I really am going to miss this, all the comradeship with the other Bloggers, too. This was SO enjoyable. I really look forward to the next one! I WILL be posting actual'Reviews' of all the books I have read. I am just putting a little synopsis of what each book was about in one sentence. Here is what I read today with photos. The first book I started last night and finished early this morning. 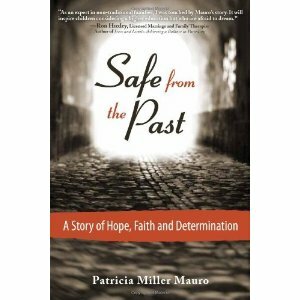 "Safe From the Past" by Patricia Miller Mauro. Very good book about a woman who grew up very poor and was determined to get her Bachelor's Degree so she would NEVER have to rely on the things her mother had to do in order to keep a roof over her and her sister's head while they were growing up. Very inspiring. 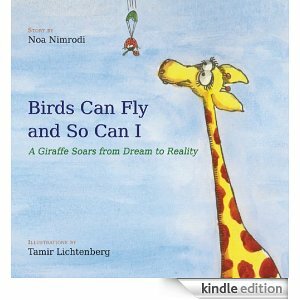 "Birds Can Fly and So Can I, A Giraffe Soars from Dream to Reality" by Nao Nimrodi and Illustrated by Tamir Lichtenberg - Children's Book This is a BEAUTIFULLY ILLUSTRATED BOOK! WOW! This is the only photo I could find. This book is NOT worthy of the Kindle edition. I read the 'review book'. The story in this book is phenomenal in teaching children to reach for their dreams and the illustrations are GORGEOUS and NEED to be had in the book form to appreciate the beauty. 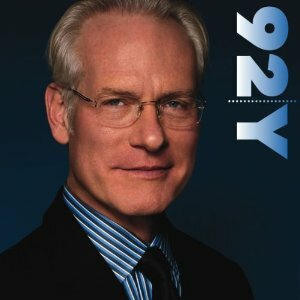 Tim Gunn in Conversation with Budd Mishkin by Tim Gunn. This was the FIRST Audio Book I have ever 'listened to'! VERY good. I LOVE Tim Gunn! Make it Work! And, last, but not least, a book I won from the Freedom Hop Giveaway! 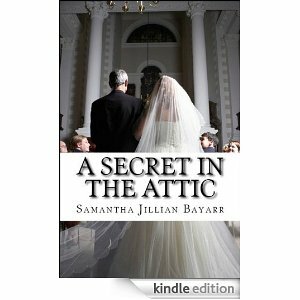 "A Secret in the Attic" by Samantha Jillian Bayarr. Yes, the Kindle Edition. Very good book. Very interesting. You will all have to watch for my reviews of these books over the coming week. The CHALLENGE: Today is my mini-challenge for the Once Upon a Time Read-a-thon!! I'm hoping to make this one easy for you. Anyone who talks to me on Twitter knows that I simply live for book recommendations and getting someone to read a book I recommend is awesome. Even better though, is having that someone turn around and tell me how much they loved it. Because I'm such a fan of book recommendations, I want you to recommend books to me. I want you to recommend 2 books to me. (This challenge is being sponsored by: http://www.basicallyamazing.blogspot.com Please visit her Blog!!! ***My answer: I recommend "The Story of Beautiful Girl, a Novel" by Rachel Simon. This, by far, has been my FAVORITE book of the year so far, Why? This story is so captivating and keeps you turning the pages because you want to find out what is going to happen next. The reason this is such a page turner is this story takes place in the late 1960's when a Caucasian woman, (Lynnie), and an African American male, (Homan) breaks out of a school which is more like a prison, called 'The School for the Incurable and Feebleminded'. They break out and run away as fast as they can. They need to get away. They start looking for the 'right house' to stop at, They look and look, and finally approach one. An elderly woman, a Widow, answers the door, and takes them in. At first she is afraid of these two people because she doesn't know what they want. Both of the people cannot seem to be able to communicate. She brings them in and gets them a drink. As she brings them their drink, she sees they are holding a newborn baby. Now she has somewhat of an idea what has happened. She cares for these people, lets them shower and gives them fresh clothing to wear, and helps with the newborn. Shortly after this, the Authorities come knocking on her door. Right before they take Lynnie into custody, Lynnie hides the baby and hands it to the Widow so no one can see, and she whispers to her saying "Hide her." Homan runs and escapes. The rest of the book continues on about all of these people's lives, and the lives of the people who are associated with them. What happens to the Widow and the baby? What happens to Lynnie as she is taken into custody, What happens to Homan? Does he escape? Is he found? This is a page turner. There are so many unanswered questions, this book does not let you down at all while reading it. This book continues on with the rest of the story. There is never a lull in the book. It is so good. It is such a story of love. Pure love. My answer: My favorite book out of the Read-A-Thon books is: The Help, by Kathryn Stockett. This book also takes place during the 1960's Civil Right Movement. Down south in Jackson, Mississippi, Skeeter comes home from college. She now has her degree and is done. She wants to be a writer. She looks for a job at the local newspaper and gets one writing a column about housekeeping. She has never kept house, as her family has always had a black maid to do it all. She goes to one of the maids she knows, who had worked for her family at one time to get advice. While she does this, she had previously talked with an Editor at a large, prestigious Publishing House who gave her some advice about writing. Write a story which you have emotion/passion about. Skeeter finds out the maid who was working for her family has disappeared and no one will talk about her and tell her why or what happened. She starts to get angry. Skeeter has just figured out what her 'passion' is that she wants to write about. She wants to write a story from 'The Help's' perspective. She interviews as many maids as she can, which was no easy feat. She eventually does publish a book about 'The Help', which causes chaos, a HUGE uproar. This book is not disappointing at all. It, as well, keeps you turning the pages. You want to know more about everything, especially the outcome. This is 'A Book of the Year' as well. It's being turned into a movie which will be released in August! I wanted to read the book before the movie came out as I wanted to know the real story behind the movie. If you do go to read this book, be careful you do not buy the 'movie-adapted' book. The book you want is yellow with Swallow birds on the front cover. WELL worth the read! 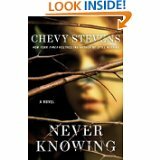 The book I did NOT get to read, which I am dying to read is "Never Knowing" by Chevy Stevens-The Best Selling Author of Still Missing. The cover photo of the book is below. I did start the first few pages. It is 410 pages. I don't know if I can get it read by Friday, tomorrow? This size book usually takes me 2 days. Although, I can tell you the first few pages just sucked me right in. She is in her Therapist's office, as this is how this story is told, through sessions at her Therapists. She is talking about how she found her birth mother and her birth mother was 'afraid' of her. She doesn't understand why. On the back of the book, it says: A breathtaking and complex novel about one woman's search to find her birth mother - only to discover the terror and horror in which she was conceived - and that her birth father is still on the loose. Inside the front cover: When her birth mother rejects her, she discovers her biological father is an infamous killer who's been hunting women every summer for more than 30 years. Soon she realizes the only thing worse than finding out your father is a killer is him finding out about you. This books sounds SOOO good! Who thinks I should buy and read the ebook so I can raffle 'this' book off? This book is an ARC. What I wrote above about inside the front cover may be al little different than the published version, as well as the back cover. Tell me in COMMENTS!! !